We’ve been hearing a lot of news about full screen mobile phones lately, many mobile phone manufacturers are generating full-screen mobile phones, the full screen phones seem to be a trend. So there is a question “what’s a full screen mobile phone?”. When you search the answer by Google, you will get the most answers is “Best Big HD Screen and Full Screen Display Mobile Smartphones”, they mainly Introduced their product or not a detail introduction like Wiki or mobile site LukeCase. So I decide to make a detail introduction for full screen mobile phone. Full screen is a relatively broad definition of the mobile phone design for ultra-gaoping. 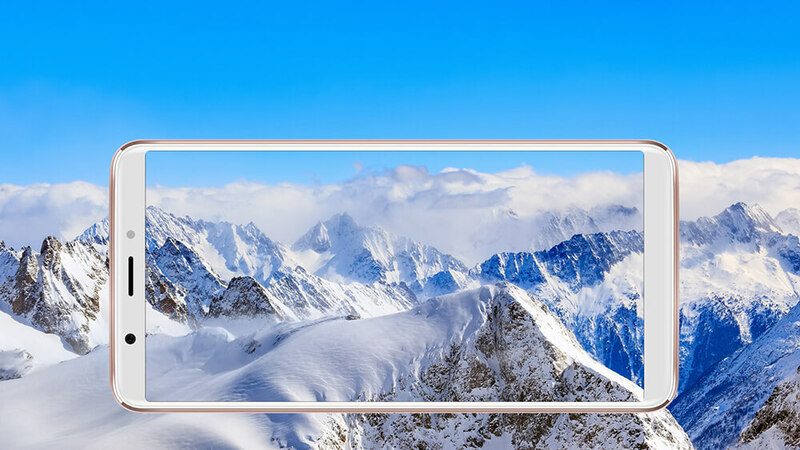 The words mean is the phone with full screen, the four border positions of the phone are designed without a border, pursuing a screen-to-body ratio nearly 100%, we also called it Bezel-Less mobile phone or Border-Less mobile phone. But due to the current technology, the industry claims that the full screen mobile phone is only an ultra-high screen ratio mobile phone, or not a 100% screen-to-body ratio. Now most full screen mobile phone refers to the screen-to-body ratio can reach more than 80%, with ultra-narrow border design of the mobile phone. With Samsung, Huawei, EL mobile and our KXD having flagship phones rocking the 18:9 ratio already, it’s likely to be a trend that sticks around replacing lots of the current 16:9 phones we see today. Why are most smartphones using a new 18:9 ratio? Many people like big screen mobile phone, smartphones just keep getting bigger while our hands are staying the same size. Going any bigger than 5.5 inches on the a 16:9 ratio phone just makes it difficult to hold one-handed. With the average phone size now being 5.5 inches, something had to change… actually two things. The first change has been gradual and is the size of the smartphone bezels, as they decreased it meant that the screens could get larger with the same width. Easier to hold: the 18:9 ratio mobile phone is more height and less width, so it’s easier to hold an 18:9 ratio phone in one hand. Wide view: A 18:9 ratio full screen phone can provide more content, video or photos for you. Same body bigger screen: by squeezing a 18:9 full screen into the body and slimming down the bezels, we created a 6 inch phone with a handfeel of a 5.5 incher. Do you want to get a 18:9 ratio full screen mobile phone with cheap price?